Danish model Laura Julie, after Topshop Unique, London, September 2015. 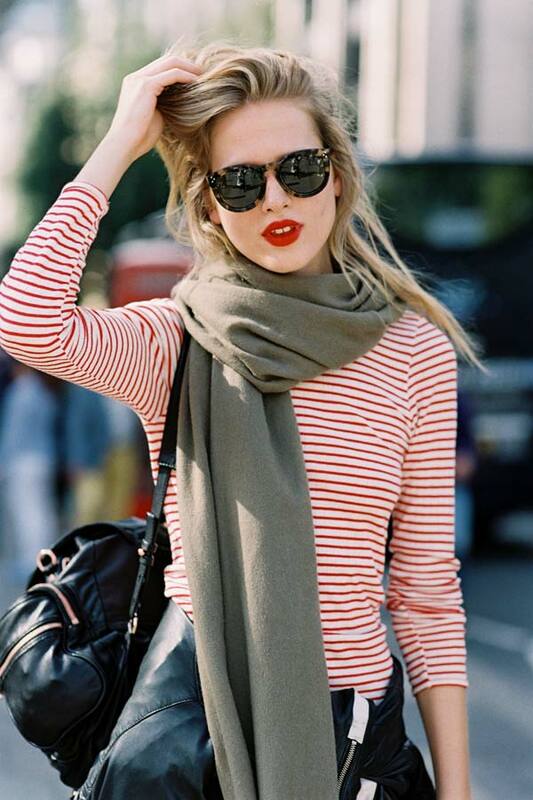 The easiest way to spice up a striped tee and black jeans between seasons: gorgeous red lipstick, a fringed scarf and studded ankle boots. Nice boots. Stunning photos. Glasses are so chic. Amazing contrast with the scarf.